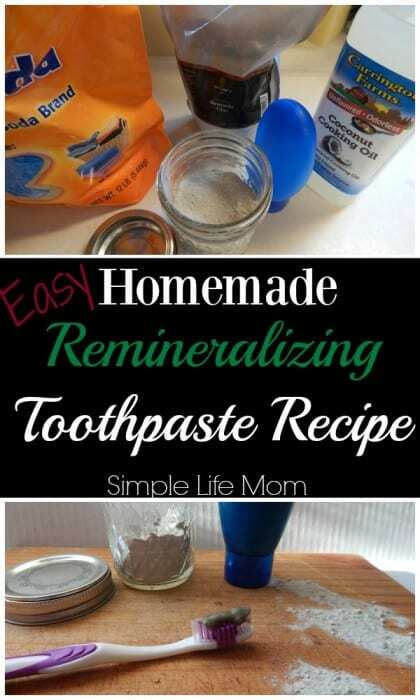 This Remineralizing toothpaste Recipe is just what you need if you are making the journey to a simpler, more healthy life. Conventional methods of remineralizing teeth involve fluoride use and food supplements, but there is a natural way to gain better and more healthy results without using highly debated methods. As explained in How to Remineralize Teeth Naturally (and Why,) your teeth need minerals that are obtained through a healthy diet. While sugar breaks down our teeth directly, other items we eat, like starches, effect our ability to absorb many minerals and other nutrients, causing a depletion of our body’s minerals and hindering our ability to maintain healthy oral health. 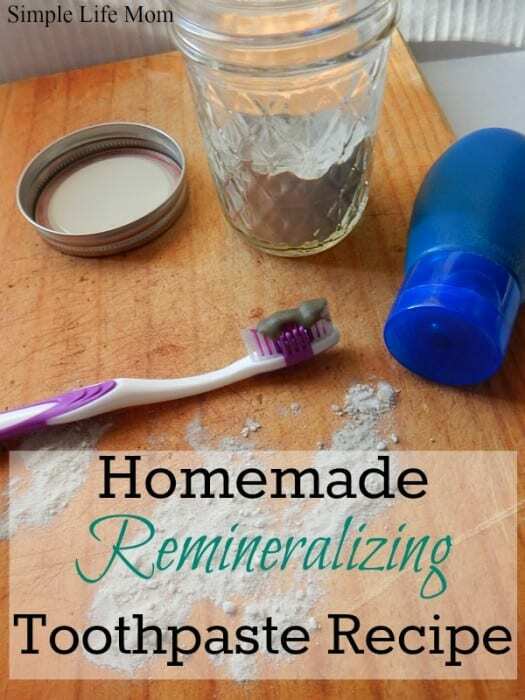 Using a natural remineralizing toothpaste recipe with something like dicalcium phosphate in, at home is one way to boost your oral health. Not only do we cleanse our mouth and teeth using healthy ingredients (to learn more about common toothpaste ingredients read: Is Toothpaste Safe? ), we also bring minerals right to where they are needed. The skin in our mouth is ready to absorb those ingredients, because it is highly permeable. Baking Soda – baking soda has calcium lactate, which is bioavailable, meaning our bodies can readily absorb it. Baking soda also helps remove plaque that is forming on our teeth. Bentonite Clay – bentonite clay has negatively charged particles, making it great at absorbing negative charged particles in your mouth (a mini detox every time you brush). It also has calcium and magnesium. Calcium Citrate Malate Powder – you can use calcium carbonate. It is healthy and relatively cheap. BUT, if you really want to make a powerfully mineral charged tooth powder, then you should use Calcium Citrate Malate Powder. Why? Because calcium citrate malate has the most readily bioavailable calcium; 40% more than calcium carbonate! Coconut Oil – healthy fats are vital to our health. Coconut oil also helps to create a protective coat on our teeth. I don’t use any water in my toothpaste, because water’s oxygen content speeds up the breakdown of oils. You can use a coconut oil that does not harden at 76 and lower so that your toothpaste doesn’t become rock hard during the winter. This is called fractionated coconut oil. You can learn more about it from Organic Facts. Essential Oils – essential oils are a bonus. Peppermint helps give fresh breath, is very refreshing, and adds to flavor. You can also use clove and/or cinnamon leaf for taste and killing of bacteria. An easy, healthy, natural alternative for oral health care. Keep in a mason jar or other sealable container. 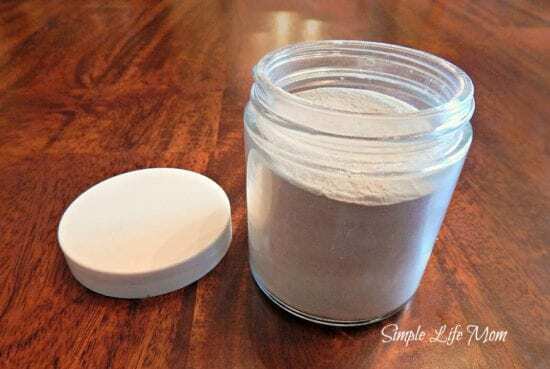 If you'd like to make 2o of paste, remove 2 Tbsp of powder and add fractionated coconut oil 1 tsp at a time until you reach the desired consistency. Sweetness – you can always add stevia extract for a natural sweetness that does not harm your teeth or health. Make sure you know how your stevia is processed. After all Real Stevia is NOT White. You can Make Your Own or Buy Stevia Extract from my shop. We don’t use any. We missed it at first, but don’t any more. Dry vs. Wet – This recipe makes 3/4 cup. This can last a long time and easily have bacteria introduced to it as time goes by. You may wish to keep it dry (leave out the coconut oil) and use a spoon to place the powder on your toothpaste, or make a small amount wet at a time. Dispensing – You can simply use a small mason jar and spoon, but if you have kids this can get messy (believe me, I know). You can also use a squeeze tube like THESE if you use the fractionated coconut oil. I am now offering this in my Shop. I’ve bought some of your products on etsy. Do you sell the remineralizing tooth powder? I do plan to put it in my shop within the next month, but it is not there yet. What about sensitive teeth? I’m afraid of the abrasiveness of baking soda. Also, what about bentonite clay with metal fillings? I’ve read that that’s not a good mix. I’ve never read anything about bentonite clay and fillings. Though there is an ionic bonding that may occur between bentonite clay and metal, I don’t know if that would effect the mercury fillings. Defitnely looking into it. As for sensitive teeth, I have sensitive teeth and do much better with this then I did using sensitive toothpaste. I don’t add salt as some people do, so its not as abrasive. And i brush gently. My sensitivities have gone away, probably because of the extra minerals. I really like how this makes my teeth feel, clean and it isn’t bad to taste, but the baking soda is a bit strong, and I don’t like its saltiness, but really a great recipe! Thank you for this! The last dentist I went to ‘filled’ in some areas that were showing too much of the tooth, and when they finally wore off, they had damaged my teeth and I am hoping this will help repair that damage. You’ll get used to the taste. Remember that you can add a little stevia if you prefer. Kelly, could you make (or recommend so I can) a kid-friendly flavor? My youngest 2 won’t use the mint or cinnamon. ? You can try adding some stevia. Otherwise, just remove other toothpaste from the house and tell them to get over it 😉 That’s what I did, ha ha.